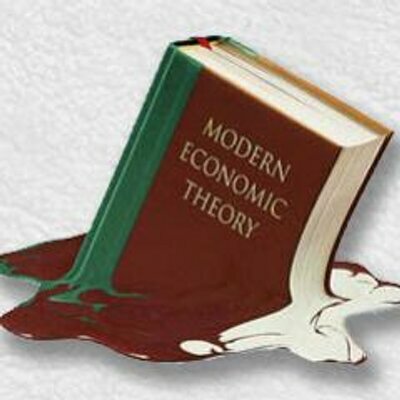 Reforming economics teaching has been a heated topic of debate since the financial crisis. My personal views on this align closely with The University of Manchester’s Post Crash Economics Society (PCES), who have been calling for a pluralist approach that would rid economics teaching of its neoclassical core, and replace it with a critical study of economic questions and the diverse methods and approaches being taken to understand and answer those questions. The group Reteaching Economics has similar aims. Certainly a focus on empirical methods would be elevated to a core element, as the question of how can we know things is a primary concern to critical analysis. In all such an approach is not an excuse to avoid mathematics, but to embrace a the wide range of mathematical tools in use. Change like this is a difficult task, and will ask a lot of students and teachers alike. But in my view it is also a difficult task to teach and learn the bland, abstract and often irrelevant economics that fills the undergraduate textbooks today. Even very complex concepts can be reduced into small components with memorable analogies that make them digestible. And if done right, a new approach should trigger more of a desire in students to learn and apply these new concepts and tools. I have tried to shift my own teaching towards this approach. The purpose of this post is to share an example of taking an existing course, and the various constraints that came with it, and shifting it towards a more critical and pluralist teaching approach. Last year I taught Managerial Economics and The University of Queensland. The student body were not all economics majors, but were drawn from across the university’s disciplines. One constraint was the prescribed textbook (which I could not change by the time I began teaching). It contained repeated lessons in applying optimal control problems willy-nilly to possible problems that might face a firm manager. Like how should I profit-maximise when I have two goods that are substitutes? So what did I change in the course? I made sure that before they embarked on the “textbook” concepts that they were given a broader outline of the big ideas that are implicit in the textbook view, yet completely hidden. Like “What do prices do?” And, “If prices allocate resources, why do firms exist?” You can download my first week’s notes here (I make lecture notes a seperate reference document and use lecture slides as a tool to build and explore example problems during class). To see my emphasis on providing a pluralist view, this is one of the exam questions I snuck in. Which is the most accurate comment on the following statement - “Firms maximise profits”? A. Always, because by definition they are profit maximisers. B. Never, as profits do not always accurately reflect long run payoffs. C. Often, and always in preference to potentially conflicting objectives. D. Sometimes, but they may achieve this through intermediate objectives. I also cut short many weeks of textbook regurgitation and replaced it with concepts and tools that don’t fit in the paradigm, but are nevertheless quite useful in practice. For example, I introduced a simple analysis of real options in investment decisions, which captures many of the realities of irreversible firm decisions (here). I also included a week on networks and evolution that introduced some simple models to capture some of the more interesting firm and market dynamics (here), and allowed us to have informed discussions on questions like performance pay for individuals or teams, and revisit the reasons firms exist at all. When I cover information problems, I discuss adverse selection, but also beneficial selection, and look at how the data shows the opposite of what the textbooks predict in Australian health insurance markets. I also changed the assessment items from almost purely multiple choice and short answer exams, to a mix of some multiple choice, short and long answer questions that allow concepts to be applied to real life situations and data, and an assignment. The assignment was about a real company facing real changing market conditions. Students were expected to determine the relevant data they needed to collect to complete the parts of the assignment, then find it, then use it (run appropriate regressions), then interpret it, and present it all in a professional way. Some of them told me it was the best assignment they had done in their whole course in terms of actually learning something interesting, and producing something they can be proud of. This was a relief. I had spent a lot of time preparing it. Some of the economics majors said it was the only assignment they had ever been asked to do! This was quite worrying, but completely in consistent with economics courses globally. The PCES survey showed that a fifth of economics subject have multiple choice questions make up more than 90% of the course grade, and in half of subjects they make up over 50% of the grade. As a general rule, economists are trained to solve equations and answer multiple choice questions. So what is stopping these changes from happening across the board? First, few academics maintain the connection with the wider business and public policy community to have a ready supply of topical recent examples where economics can be applied. They are so narrow in their research focus, that when teaching outside this area, they simply conform to the standard textbook. Second, many academics are trained neoclassical economists only. When my exam draft was reviewed by another academic for errors, they noted that they had never heard of real options, nor the evolutionary and network models in my course. This becomes an even more serious problem in courses where completely wrong models still fill the textbooks, such as the case with the money multiplier. I have had to stand up in class and say “Ignore chapter 19 of the textbook, it is simply wrong.” Some economists are too loyal and “profession proud” to say something like that. Third, it is a lot of work for staff. For my teaching last year I spent about 18 hours preparing each lecture. This meant that I had new examples to use, new data, and updated readings that applied economic ideas to recent events. For the assignment I also had to research and write my own version of the assignment to make sure I was asking something that was possible to do, and that the data would reveal something that wasn't apparent on the surface (in this case that a firm which is often thought of as being "high end" actually sold inferior goods). When you want to have students research relevant recent real-life examples, this is what you have to do. Fourth, some students prefer to just get the grade and don't like the ambiguity that a more pluralist approach entails. They have learnt how to study for multiple choice exams, how to solve equations, and so forth. Having to actually think, while being uncertain about how your thinking will go in the assessment, becomes a challenge. I’d be interested to hear how others have gone about improving their economics teaching to be more critical and pluralist, and what constraints they faced. Congratulations. Everything sounds very interesting and I wish you good luck in your endeavour. I have some questions regarding a very specific topic: "performance pay for individuals or teams". Can you give us in a nutshell your views on this, maybe lecture notes, or point us to tutorial/primer level material? I guess the abundance of the information offered in reply to my request is indicative of the material your students enjoy. I have been pondering responding to your question with a whole blog post, and will do in due course. But in a nutshell, my view is that individual performance metrics are often 1) correlated to the overall desired outcome but not causal, and/or 2) very easily gamed, and by doing so it comes at a cost to the efficiency of the team as a whole. My discussions centre on promoting discussion with questions like "Why is performance pay so uncommon?" , or "What's an example where performance pay provided some clear benefit?" Is that what economics students concentrate on whilst the vast ocean of macroeconomic theory lays all around them (to paraphrase Newton)? I think that as a teacher you could do a lot better by introducing them to my model of the macroeconomic system. Please see my paper: SSRN 2600103 "A Mechanical Model for Teaching Macroeconomics" and the associated diagram (on Wikipedia, commons macroeconomics DiagFuncMacroSyst.pdf.